With your security system from Hyperion, powered by Alarm.com, your home gets connected in ways that other systems just can’t offer. 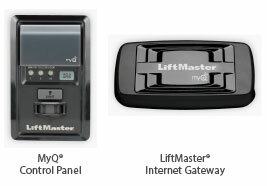 One of the optional features integrates remote control, alerts and automated closing for your garage doors. With this feature, you’ll have added security and convenience – whether you’re in your driveway or halfway around the world. With your system powered by Alarm.com, you’ll have the only interactive security platform that provides fully integrated control for your garage doors. 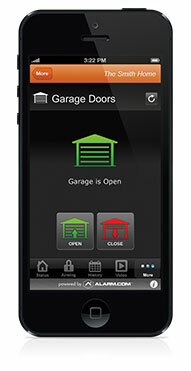 You can easily manage, monitor and control your garage doors through the best rated mobile app on iTunes. This feature is fully integrated, powered by Alarm.com’s Interactive Security and Home Automation system, which means you can manage your garage doors automatically and on-demand. You’ll never have to wonder if you left the garage door open again. Talk to us about all the unique features that you can only find in systems powered by Alarm.com for your home or business. Hyperion Integrators has provided trusted Business and Home Security in Omaha since 1993 and Alarm.com offers the best technology for your business need or lifestyle.